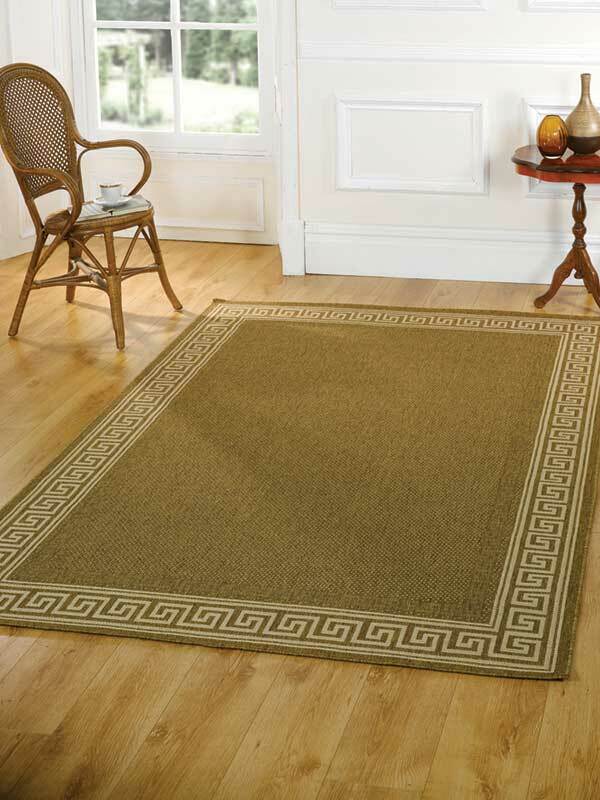 The earliest pile-weave rug discovered in its entirety dates back to the 5th century B.C. It was discovered frozen in 1949 by a Russian archaeologist, Rudenko, in a Scythian burial site in the Altay Mountains of Siberia near the northeastern border of Mongolia. 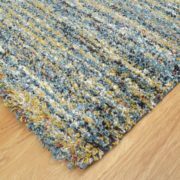 The importance of Pazyryk rug is that it proves pile weaving is an ancient craft. Until the discovery of Pazyryk carpet, the scholars relied on literary accounts about the existence of certain rugs in history that did not specify the technique by which the rugs were woven. The dimensions of Pazyryk were 6′ by 6′ and it was woven by symmetric knots of about 200-225 per square inch. It is uncertain what the origin of Pazyryk is; however, it has Persian Achaemenian (a Persian dynasty who ruled from 550 to 331 BC.) motifs. Some scholars believe that because of its Achaemenian motifs, it was made in Persia and was imported. Others disagree and believe it was made near the area where it was found. Currently the Pazyryk carpet is in Hermitage Museum in Leningrad, Russia. In Persian manuscripts of 6th century A.D. there is mention of a rug called the ‘Spring of Khosrau’ which some scholars say belonged to the Persian king, Khosrau I of the Sassanid Dynasty, who ruled from 531-579; others say that it belonged to Khosrau II (590-628), grandson of Khosrau I. The rug was kept at the Sassanian palace at Ctesiphon in modern day Iraq. ‘Spring of Khosrau’ was woven with wool, silk, gold, silver, precious and semi-precious stones. It was possibly a garden design. Experts believe that it was a flat-weave and was not woven in one piece. This rug has never been discovered. A famous pair of rugs woven during the reign of Shah Tahmasp (1524-1576) of Safavid Dynasty are the two almost identical Ardabil Carpets. The date, 1539-1540, and the name of the designer, Maqsud of Kashan, have been woven into both rugs. 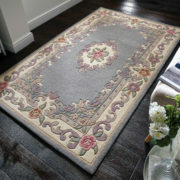 The dimensions of both rugs are the same, 17′ 6″ by 36′ 6″. Their foundation is silk, and they have been woven with 300 asymmetric (Persian) knots per square inch. One rug is in the Victoria and Albert Museum in London, England and the other is in the Los Angeles County Museum of Art. The former has been repaired with fragments of the latter. Therefore, the one in Victoria and Albert museum is in whole and the one in Los Angles is missing its borders. The origin of the rugs has been linked to Ardabil, Kashan, Mashad and Tabriz, as well as other places. The greatest period of Persian art and especially rug weaving was during the reign of the Safavid Dynasty (1502-1722), mainly during the rule of Shah Tahmasp (1524-76) and Shah Abbas I (1588-1629). Shah Abbas himself was a skillful weaver. Safavid Shahs (rulers) established royal weaving workshops in the cities of Kashan, Kerman, Esfahan, Joshaqan, Tabriz, Yazd, Shiraz, Herat (part of Afghanistan today) and Sabzevar. As a result, many quality rugs were designed by famous artists. 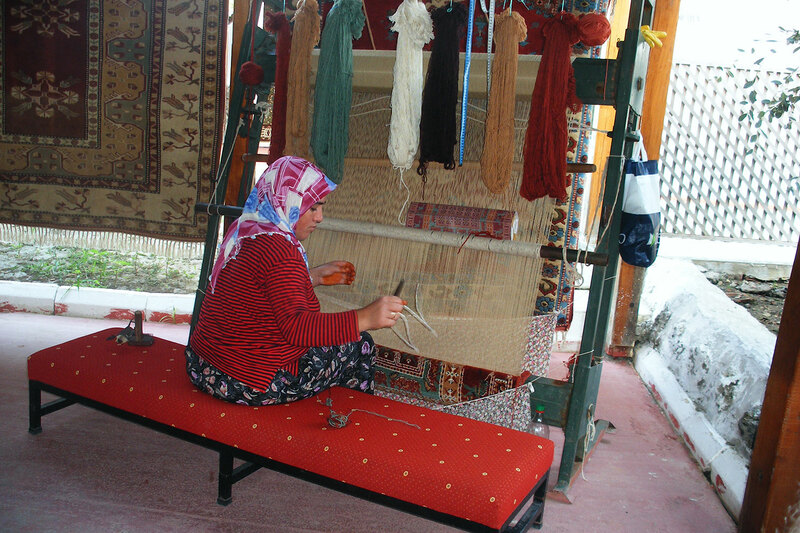 Rug weaving transformed from a nomadic craft into sophisticated art. The designs also transformed from their geometric nature into curvilinear patterns. The design repertoire was also dramatically increased. Rug weaving was introduced to India during the sixteenth century at the time of the Moghul Emperor Akbar. At the same time rug weaving was flourishing in Iran under the rule of the Safavid Dynasty. Many of the Indian workshops were set up under the supervision of Persian weavers. Consequently, Indian designs were strongly influenced by those of Iran, mainly by the curvilinear styles such as Esfahan. It is even possible that the first Persian weavers who were brought to Lahore (at that time part of India, now part of Pakistan) came from Esfahan. The first synthetic dye, Fuchsine (a magenta aniline), was developed in the 1850s. Shortly after, other synthetic aniline dyes followed. Synthetic aniline dyes, made from coal tar, were brilliant, inexpensive, and easy to use; however, they faded rapidly with exposure to light and water. In 1903 Nasser-e Din Shah, the Persian king of Qajar Dynasty (1794-1925) banned the use of aniline dyes in Iran. Persian weavers discontinued the use of synthetic dyes until the modern synthetic chrome dyes, which were colorfast, were developed in the years between the First and the Second World Wars. Rug weaving was introduced to Europe through Spain during the control of Muslim Moors who ruled most of the Iberian Peninsula, southwestern Europe, from the 8th through the 13th century. Spain became an important rug producing area in the twelfth century. 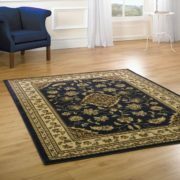 The most important European styles in the history of European rug weaving are the French Savonnerie and Aubusson styles of the 17th and 18th century, which are still being copied by countries such as India, Pakistan, China and Iran. The Savonnerie workshops were set up in Paris by Pierre Dupont in 1628 with supervision of Henry IV. Savonnerie rugs were mainly woven for palaces and by special orders. These designs were produced under the direction of artists of the royal courts. The greatest period for Savonnerie rugs was between 1650 and 1789. Their production was interrupted by the French Revolution, and finally in 1825, the Savonnerie workshops were moved to the Gobelins. Aubusson rugs were first made in Aubusson, France in about 1665. By the 1870s rug production had stopped in Aubusson.